Mombasa, Kilifi Matatu Saccos refused to be associated with IEBC logistics. - Said Mabrouk, Matatu Saccos Spokesman. - Bana Kenya News, Real African Network Tubanane. 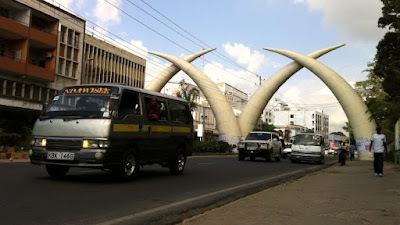 Home featured Mombasa Mombasa, Kilifi Matatu Saccos refused to be associated with IEBC logistics. - Said Mabrouk, Matatu Saccos Spokesman. Mombasa, Kilifi Matatu Saccos refused to be associated with IEBC logistics. - Said Mabrouk, Matatu Saccos Spokesman. The Mombasa and Kilifi Saccos have declined the move by IEBC to hire their Matatu to carry the ballot boxes. Munawar, Bambu, MOM, Faulu, BENK and 001 matatu Saccos have joined hands saying their Matatus will not be used in the third polls as there will exposing their business to risks. "We will not allow our Matatus be used in the Logistics because we fear our business will be compromised," said Said Mabrouk, Matatu Saccos’ spokesman in Mombasa. Jamal Ali an official from Munawar Saccos said they held a meeting yesterday with some of the IEBC officials who approached them for the logistics of the Thursday polls. "We will not allow our Matatus be used in the logistics of the Poll materials. We don't want our business to be at risk and our members too. We will not let any Matatu carry the IEBC materials as it may be destroyed by demonstrators. Destroying our mode of business will be a big loss to us. Let the Matatus stay, let's make a loss while the Matatus are safe." MOM Sacco official said. The IEBC used the Saccos Matatus in last August polls. According to the Saccos Members, they recalled the 2007/08 violence whereby Matatus were burnt, damaged others vandalized saying they had a very big loss. The members refused to honor IEBC request in one voice saying "Others have not yet resumed to this industry and we are not willing to go that way again."